I recently met my next guest and Mom via the Vancouver Mom site. We are both blessed to be nominated as one of Vancouver Mom’s most fabulous bloggers. Please feel free to vote for us both! Tanaya has a son with autism. I was going to do a post on Tanaya last week during Autism Month but both laughed as we looked at the calendar and it was May 1 when I got her story. I know how this feels I loose track of the hours and days in a second being a Mom. Everyone tells you that you will blink and one day your kids are 18 and heading off to university. Stories like Tanaya’s are becoming more and more frequent in the news every day. 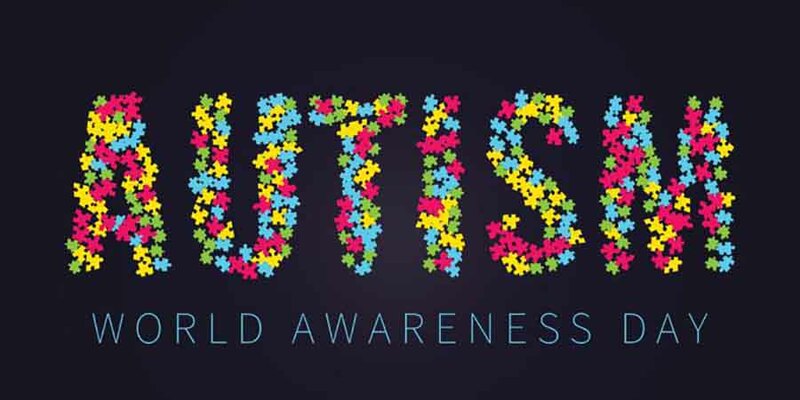 More children are being diagnosed with autism every year. Tanaya and her husband Daniel are remarkable parents that are doing something to give back to autism. They are raising awareness and money to give back every day. I couldn’t imagin the every day challenges of raising a child with autism, but every day they are doing everything in their power to give to autism, to support others and help make their son Bryce understand that he too can do something. We all have a choice to be victims of disease and events that happen in our life or we can choose to be leaders. Thank you Tanaya for giving hope and inspiration to other parents and being that leader. While other fourth graders are busy with reading, writing, and arithmetic; Bryce fights to educate the world about Autism. In June 2003, just before his third birthday, Bryce was diagnosed with Autism Spectrum Disorder. Autism is a pervasive developmental disorder that affects how a person interacts with their world. Bryce has struggled with delayed language, learning, and social skills his entire life. As with most children diagnosed with Autism at an early age, he endured rigorous Early Intensive Intervention (EII). Bryce’s typical daily routine involved visual scheduling, sign language, speech-language therapy, occupational therapy, behavioral intervention, and various appointments for medical tests and consulting. As Bryce’s parents, we knew very little about Autism and to support his development we attended training programs provided by Autism Community Training in British Columbia (ACT BC) and researched as many treatment options as we could find including, Applied Behaviour Analysis (ABA), Developmental Individual-Difference Relationship-based (DIR), and Gluten-Free Casein-Free diets hoping for success. Bryce has been developing and progressing throughout the years and is now able to communicate verbally to a degree, attend a mainstream educational institution with his peers, and participate in class activities and events. In March 2010, we created our blog site BubblesMakeHimSmile to raise awareness and acceptance for children with autism, and to raise funds through our Bubbles Make Him Smile Therapy Fund to provide Bryce with Hyperbaric Oxygen Therapy (HBOT). Even though the idea behind the blog originally started out of a need to raise funds for this costly therapy, the website has since blossomed into an online tool for anyone interested in learning about autism, treatments, programs and training, as well as providing an insight into the lives and experiences as people who love someone with autism. Bryce has become one of our websites most active advocates and has many followers on Facebook and Twitter. Bryce has participated in two World Autism Awareness Day (WAAD) events by the Canucks Autism Network (CAN), blew bubbles for Canada Day at Canada Place, and was the inspiration behind a fundraising event called Yoga for Autism. Every day we are inspired by him. How he stands up and carries the torch as a voice for other children with autism, and teaches people to value him, his talents, his weaknesses, his strengths, and to appreciate the contributions that he can, and will make, to this world. Thank you so much for sharing our story! You are so welcome and it is so deserved to spread the great work you are doing! Thanks glad you enjoyed it a great Mom doing great things!